After blogging again now, for over a year, it's fun to have an archive of outfits to look back on. I can see different seasons that I go through in my life... I can remember feeling so great in an outfit, and remember how I thought maybe an outfit wasn't the greatest on camera, in the moment, but looking back on it, I think it looks just fine. haha I can relive that moment in time, and remember how I felt, more than just in an outfit, but in those seasons of life. And, I think that's really cool. When I first started this blog last September, I was still so new at being a Mom of two. Looking at those pictures, I feel like I barely knew who Luke was. I mean, no one knew him. He didn't even know who he was, being 7 months old. But, my point is, he's grown and matured so much since that time, and so have I. Some days, I feel like I'm still finding my footing in this whole motherhood thing. But I can look back on those times, when Luke was under a year old, and remember how far we've all come. That's a really fun thought. We're all growing and changing, and it's good. Why did this outfit remind me of the seasons of life? Mainly because it's pink lace, and that's one of my favorite things to wear, no matter what season of life I'm in. 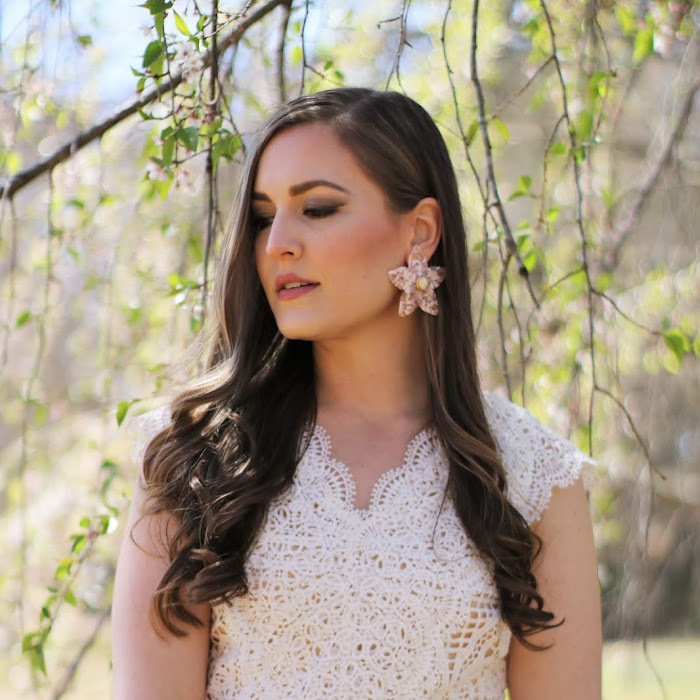 Pink and lace is just such a feminine and beautiful combination, and it always makes me feel more like myself, even during those early years of motherhood. I remember hosting a tea party for my sister and best friend a few months after Luke was born. 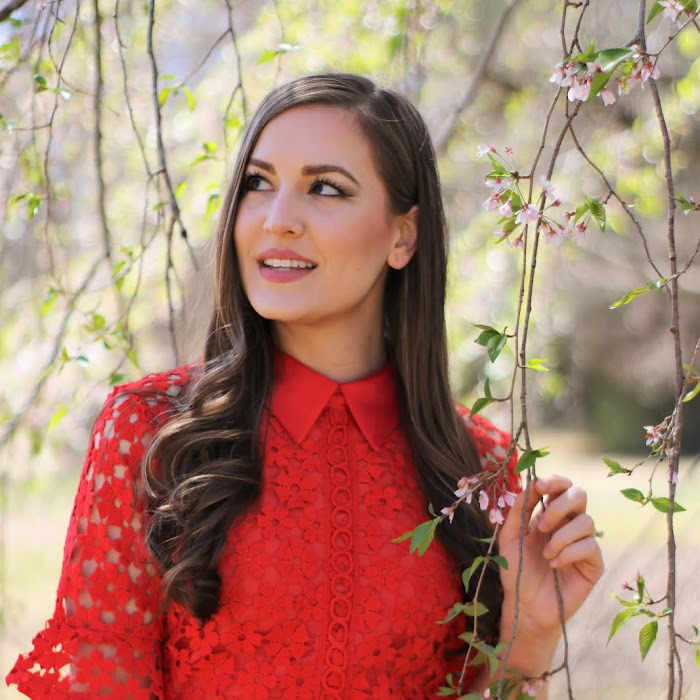 I chose a pink lace dress and a pretty pink fascinator to wear, mainly because you just have that desire to feel feminine and to feel like yourself again after having a baby, if only for a short while. And, it worked exactly as I thought it would. We had such a great time, and I can't wait to have more tea parties with them this Spring. (It's a thing we like to do together in the Spring. We mostly create a pretty tablescape so that we can photograph it, then drink tea, eat macaroons, and have a little rose'. haha) It's a wonderful time together and also an excuse to dress up like we're Kate Middleton or Meghan Markle. Maybe next time we have a tea party, I'll post pictures to the blog. It's always super lovely, and Candace actually just bought me a new pink tea pot, so it's dying to be 'grammed. I hope you guys are having a great week! Thanks so much for reading! I'm the same way and I would look at photos of last season and remember how great I feel, but also think it was alright haha! It is a good feeling though! And that lace top is gorgeous! Thank you so much, Rach! Hope you're having a great Thursday! You always put together such fabulous outfits, Jessica!! Aww thanks Jodie! So do you! This top is so pretty! Love the sleeves especially. Isn't the sleeve detail so fun? Thank you, Kathrine! The pink lace is so cute on you! :) It's nice to look back on past outfits and events - I've been blogging 6 years so I like looking back seeing what I wore each day and what we got up to, it's a fun record to have! Yes! Totally agree - such a fun way to look back. That sounds so fun, a night out with friends! Super jealous! Have a great weekend! 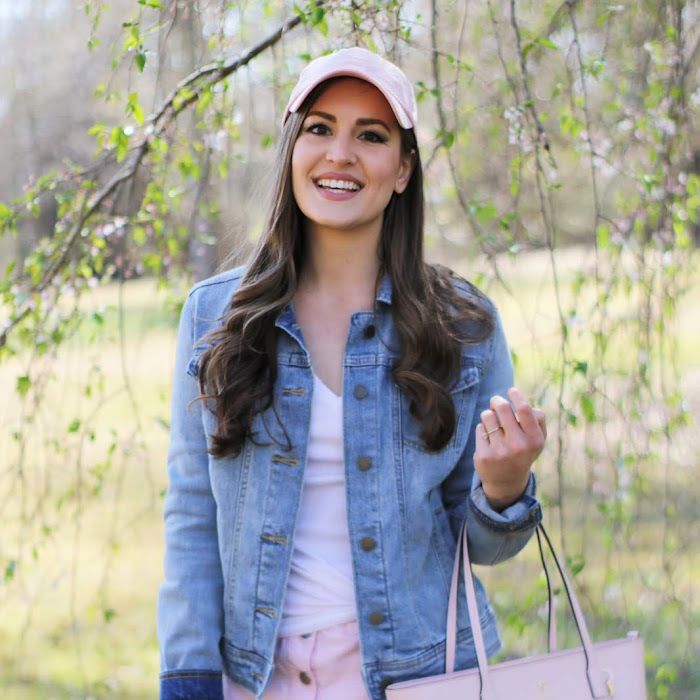 This monochrome pink look is so sweet and feminine. I especially like the lace blouse. It's such a delicate piece. Thanks Kathrin! I love all pink so much! Hope you have a great Friday! Yes! It's really fun, you'll enjoy it! Thanks so much, Asha! Thank you so much, Ana! Have a great weekend! I love your pink lace! I think that you are very great and everything looks good on you. Aww, thank you Okcheori! Hope you're having a great weekend! pink makes you look young. Thanks, Tanza! Have a great Saturday! I love your dress, it is so cute! You look amazing! Loving that pink palette! It fits you so well. Pink is definitely your color! I love looking at old blog photos and seeing what we wore! Sometimes I think, "Why would I wear that?!" And then just realize it was part of the times! Totally agree! Styles change and evolve and it's cool to have that record to look back on! Thank you so much, Inna! Have a great evening! The pink lace top is marvelous and is perfect with the lighter color of the pants, and with the refinement of high heels and bag. Thank you so much, Filipe! Pink and lace combined make for such a feminine chic look. You look beautiful, Jessica. And I can relate to your post. I look back at old pics and can remember the time, place, and feelings. It's very nostalgic. Oh for sure! Thank you so much!